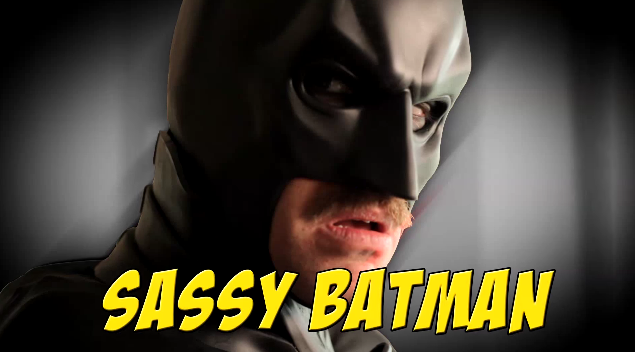 Sassy Batman is a web series created by writer/director, Xavier Burgin. The series follows the escapades of Batman living in Los Angeles, CA. Our purveyor of justice spends his time harassing old friends, kidnapping new ones, and dodging the watchful eye of his longtime girlfriend, Catwoman. Sassy Batman was inspired by the Art of Kevin Warren, a phenomenal graphic artist in the Tumblr-sphere. He created a piece of art known as Sassy Batman based on a series of tweets from Chris Sims (@theisb), a well-known graphic novel and comic enthusiast. The show has been featured on TubeFilter, the Front Page of Funny or Die, Fiz-X, and Slap Yourself Comedy. Keep up with Sassy Batman on Facebook and Twitter.